The summer days are long and there’s a new Rare game on the horizon and the more I think about it, the longer those days become. 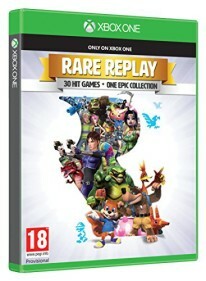 I am of course talking about Rare Replay, a collection of 30 games spanning the company’s entire history (albeit with several glaring omissions) and the dynamic avian-ursine duo are front and centre. It’s just missing a certain spy, isn’t it? In preparation for this overwhelming excitement, I decided to return to my half-completed save of the Banjo-Tooie port for Xbox 360’s Live Arcade service to get a head start on earning some Achievements which are shared with the Xbox One mega collection. The somewhat controversial move of having the Xbox 360 Achievements and saves are carried over as opposed to, say, Halo: The Master Chief Collection offering brand new Achievements under the Xbox One umbrella is both a blessing and a curse for the collection. On one hand, I’d like to have a dangling carrot in the form of Gamerscore to play the Xbox 360 games again but even without it, I am one happy Rare fanboy. 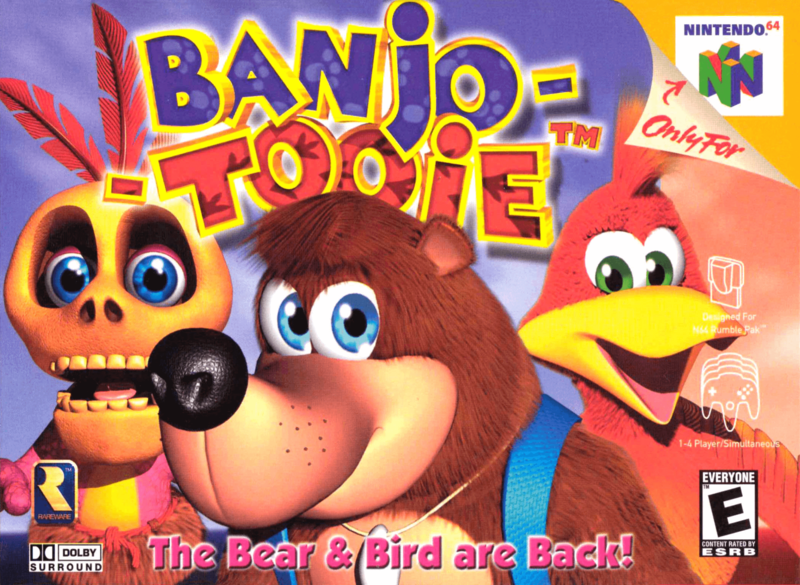 At least I was until I picked up where I left off in Banjo-Tooie, when the smile soon flew off my face quicker than a rescued Jinjo… I was so lost! Where am I? Who am I? I’m completely lost in Terrydactyland. I don’t know what abilities I’ve learnt and while the Banjo games offer a brief journal of what you’ve collected, it fails to go into enough detail, leaving me scratching my head as to where to go or what to do next. This is my major sticking point with Banjo-Tooie; it’s bloody massive, hugely complex, and only becomes more so the further you get into The Isle O’ Hags. Banjo-Tooie assumes you have the mental capacity to store everything in your brain. I need a bloody map! And a proper journal detailing my acquisitions so far. In the absence of these I started to make my own checklist of events to stop me from wasting my time should I get lost again. Thought this was a family game? Having tried to wrap my head around Grunty Industries for the first time since the year 2000, I found myself wanting to get out of there ASAP, a feeling which never arose during any of my numerous playthroughs of Banjo-Kazooie. Grunty Industries echoes Rusty Bucket Bay in all but level design. The latter is tough as nails but like most of Kazooie, it’s simple enough for you to come back to should you fall foul to most of the sticky situations to be found in and around the central point of the level. A giant ship sitting in the middle gave the player focus and context, but most of this is lost in Tooie. Furthermore each subsequent level grows in size, further losing that focus and ultimately becomes a confusing experience. That’s not to say aren’t things to like about Banjo-Tooie. The game is chock full of some of the most impressive on the N64 – and when you factor into account that the 4MB expansion pack wasn’t needed at all B-T is a technical achievement beyond pretty much anything else on the machine. 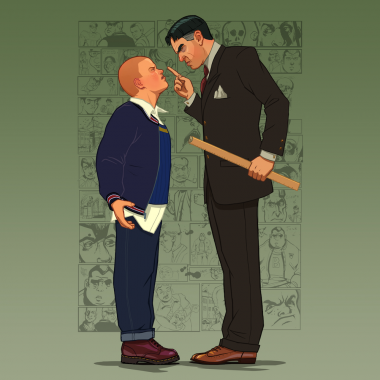 The worlds are chock full of character and varied gameplay thanks to the fantastic additional moves and incredible music (by the returning Grant Kirkhope) but overall, the classic Cane and Rinse phrase, “over-egging the pudding” comes to mind and when I was banging my head against the brick wall that is the final boss battle with Grunty, I was wishing it had been over at least four hours earlier. Be sure to check out Banjo-Tooie in the behemoth collection that is Rare Replay (if you haven’t got it already on the Xbox 360 or N64) and let me know if and at what point you become overwhelmed. I suspect it’ll be when you hop between worlds in a giant chuffing train or maybe when you get to Jolly Roger Lagoon. Ugh, water levels.